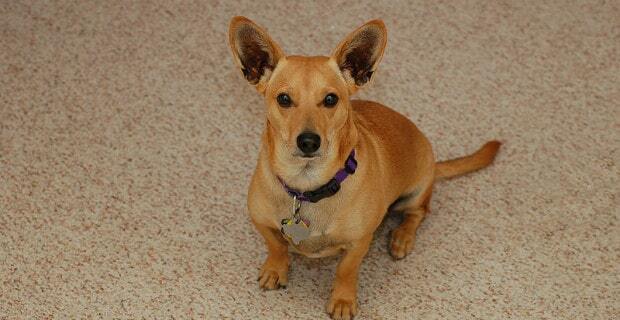 T wo purebreds have been crossed to obtain the Dorgi breed, it’s about the Pembroke Welsh Corgi and the Dachshund. 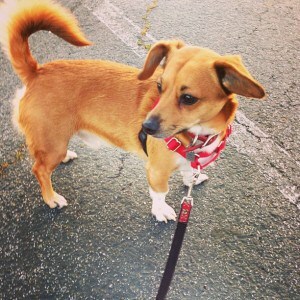 The Dorgi are longer than they measure in height and have short legs, all covered by a short coat that is easy to maintain. These dogs like to please people and are energetic, loving and intelligent in nature. They make good house pets and are excellent companions for the family, although they do require some training to use barking only as a means for alerting, not do it excessively. The Dorgis come with either a short or a medium in length coat, which is can also be either wiry or soft and bearing colors such as black, tan, red, brown and any combination of these. People who get a Dorgi do that because this dog is excellent as part of a family and they are sociable, loyal, loving, alert and courageous. These characteristics allow them to get along well with other pets in the same home, but also with children, although they need to be supervised when in their presence so that they are not harmed by mistake. Dorgis manage to undertake some watchdog responsibilities, barking when they sense an intruder or when something’s not as it usually is. The Dachshunds have hunting purposes and they were used to hunt down badgers mostly. On the other hand, the origins of the Corgis reside in the herding dogs’ area, used in the past to guide cattle for longer distances. Due to the combination of these parental traits, the Dorgis require a consistent level of exercising on a daily basis, no matter what type exactly. A backyard is ideal for them as they can run as they please, while during the colder season playing should make up for the outdoors activities. The Dorgis will always welcome a large bed where they can relax and sleep and which is suitable for their long backs, in quiet, draft free areas of the house. Some instincts from the Dachshund gene of the breed will push them to burrow themselves under pillows, blankets and other things. Due to the length of their backs, it is better to prevent these dogs from jumping too often off various pieces of furniture or when they come to greet people, as they a certain exposure to injuries. Both parent breeds of the Dorgi are known to have quite a big appetite, so it’s quite likely for this trait to be passed on. 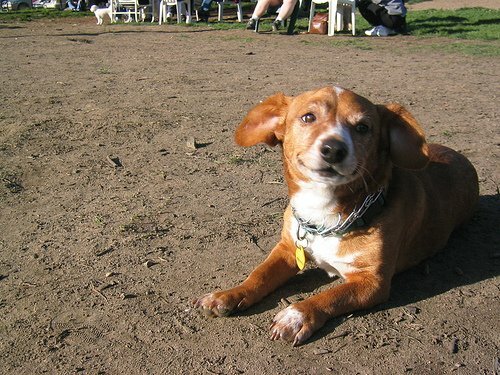 However, it is important to note that for a Dorgi, such an appetite can be very harmful, as extra weight will add extra strain on the back and the muscles and skeleton of these dogs, leading to potential injuries. Therefore feeding requires extra precautions and it’s best to split the daily meal in several smaller portions, so that the dog has the impression of getting enough food. It also depends on the type of the food and how many calories it has. A smaller portion of food with more calories can be combined with some canned vegetables as a fill-up. Intelligence and loyalty are two of the most important traits of the Dorgis, along with an active curiosity. Due to the hunting and herding abilities of the parents, the Dorgis will also have a higher energy level. Barking is the Dorgi’s tool of fulfilling some watchdog responsibilities, although it will be used excessively if the dog gets bored or lonely at home. As the Dachshund is sometimes a victim of separation anxiety, the Dorgi is likely to inherit it. The best way to deal with this is to leave the Dorgi alone for very short periods of time and then increase the intervals so that the dog gets used to these cases. This way the risk of damages property when the family members are off to work or school is consistently smaller. If it does get to a point where the Dorgi becomes anxious after separation, another companion dog may be a good solution for him. From all the hound breeds, the Dachshund is probably the smallest, but in compensation he possesses a big spirit and some other personality traits such as intelligence and loyalty which people learned to appreciate, not to say that he is also unique in looks. Extremely popular in America, this hound has been depicted as half a dog in height and a dog and a half in length. Despite the slightly unusual body, this dog is driven by strong hunting instincts, backed-up by bravery and boldness. They will often be reckless and so eager to hunt the badgers, which led him to be named the most aggressive of all dogs in a study in 2008. Although very smart, active and loving, the Dachshunds’ training is often hindered by their stubbornness, strong will and feistiness. In this instance, it may turn out to be a real challenge for families having small children. They are very reserved and reluctant to strangers and things that are not within the ordinary, which makes them bark loud and a lot, even if sometimes it’s very small things that trigger it. Because of this part of their behavior, it is not recommended to keep them alone solely outdoors, in the back yard. Their stubbornness and sometimes aggressive behavior they manifest towards other dogs is explained by the background as a fearless hunter, determined to follow the pray no matter where it goes, even in the underground – this also explaining their digging pleasure. There are two options for the persons interested in getting a Dachshund: the standard one, reaching up to 15 kilos in weight and the miniature one, which usually doesn’t go passed 5 kilos. There are also several types of coat texture and colors which can be chosen from. Dachshund can get along well with children if they are assisted during their interaction, as children can unintentionally hold or pick them incorrectly. 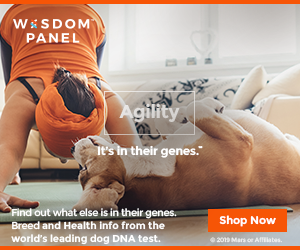 They are adaptable dogs so they can adjust to various life styles, especially that they only need moderate exercising. A Pembroke Welsh Corgi resembles pretty much to a fox, having a pair of prick ears and a quite thick coat. He loves to have fun and is bold, bossy and always wants a part of the action, whatever it may be. Although mostly preferred as a house pet, the Corgi can undoubtedly carry out the herding responsibilities, when necessary. The Pembroke branch of the breed has no tail, which can be easily remembered when linking the ‘broke’ term with the ‘tail’. Unlike the Cardigan Welsh Corgi, the Pembroke one is smaller, having a better wedge-shaped defined head and pointier ears and also having lower weights of up to 13 kilos. Both Corgi breeds, the Pembroke and the Cardigan, were bred in Wales. Here, they are believed to be fairy-breeds and the name they bear – Corgi – means dwarf. Today, the Corgi has mostly the role of a house pet and a companion, but make no mistake as the herding instincts are still strong within. The Corgis love people and also love to be active and be involved in a lot of activities. Don’t let the size fool you, as even if small in size, they will be excellent in a lot of types of sports, from fly-ball and rally, to herding and obedience. Long walks and hiking are also among the top items on their preferences list. The Pembrokes will alert their masters whenever something strange or new occurs or approaches the premises. The barking comes natural as part of their herding genes, so a proper training will be required in order to keep the barking away from becoming an excessive, unwanted behavior. Training the Pembroke needs to start right away after getting one in your home. This dog will react well to training and there is no need for harsh correction. Moreover, it will help a great deal to use positive reinforcement techniques. The Pembroke Welsh Corgi has a double coat which is medium in length. They also shed quite a lot, so brushing them on a regular basis will keep the dead hairs on the clothes and furniture at lower levels. Other important grooming activities are the cleaning and drying of the ears, trimming the nails and brushing the teeth. These dogs are not meant for outdoors living, even if they enjoy exercising out in a yard. They also need the proximity and affection of their families, which they need to be a part of.